The St. Regis Residences is a 22 story high-rise, 114-unit condo tower with a billowing architecture specifically to show the curvilinear shape of a tall ship at sail. The 10,700 square feet of ground and second level retail space and three levels of underground parking. A Harborwalk extension will also be built around the building. 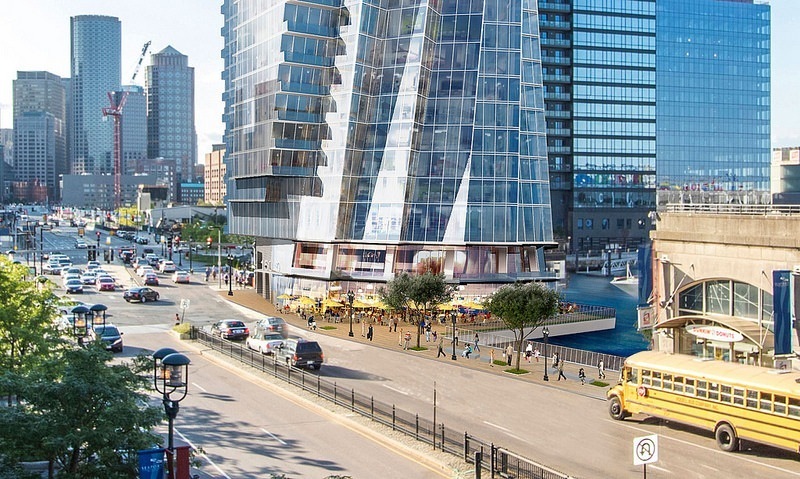 St. Regis Residences will be built at the present site of the Whiskey Priest and Atlantic Beer Garden waterfront restaurants. 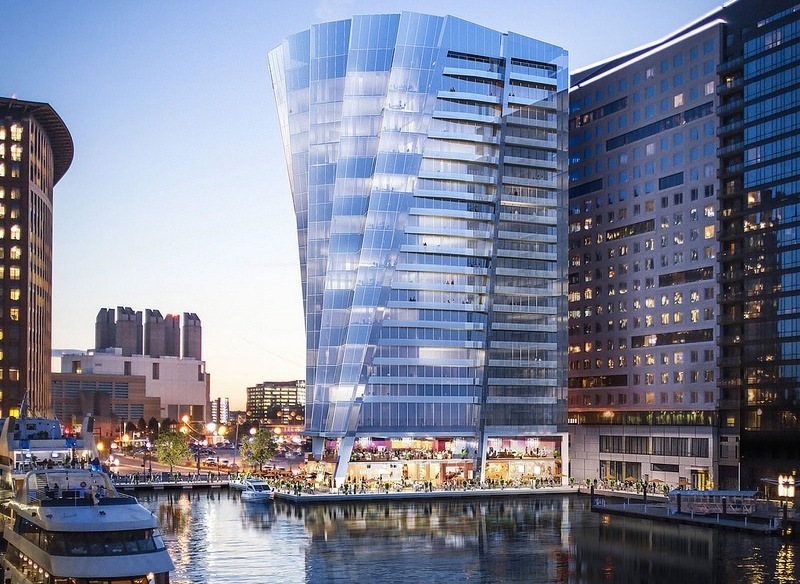 The tower is developed by a Boston based real estate firm Cronin Development, and was designed by another Boston based architect Elkus Manfredi. The St. Regis luxury condos include concierge and butler service, top of the line signature bedding and guest suites. The tower’s amenities will include a golf simulation suite, health club, library, swimming pool and spa. “The St. Regis brand evokes the highest level of luxury and we are thrilled to bring this iconic brand to Boston’s residents for the first time,” said Jon Cronin, founder of Cronin Development, in a statement. “Our team is incredibly inspired to deliver this building, which will offer exceptional privacy in addition to exemplary services, amenities and benefits — and at an extraordinary location, resting directly on Boston’s waterfront.” Across the street, developer Cottonwood Group marked the completion of the steel framing for its $950 million Echelon Seaport project last week. Three residential towers are rising above a 125,000-square-foot retail podium on a 3.5-acre site formerly used for surface parking. Completion date is estimated to be 2020 and condo sales will start at the end of 2018. Please contact us about The St. Regis condos pricing and units for sale as they become available. JP Morgan and Mack Real Estate have provided a $294 million construction loan to Cronin Development’s. Cronin Development announces plan to introduce St. Regis-branded residences to Boston. 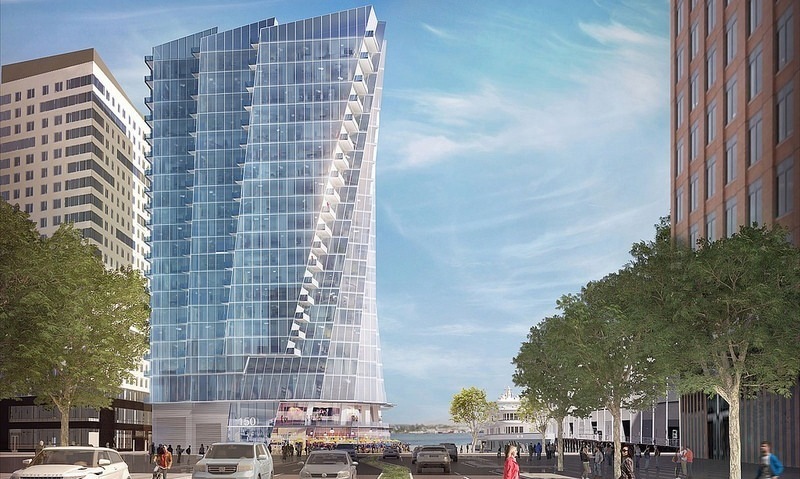 Details of the 150 Seaport project presented at the Boston Redevelopment Authority’s Municipal.